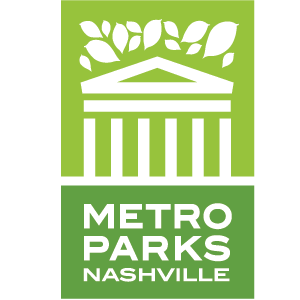 Nashville Steam is pleased to announce a new $25,000 matching grant opportunity! An anonymous donor has generously agreed to help us reach our initial fundraising goal and jumpstart No. 576’s journey to restoration. For every $15,000 raised through donations and grants, an additional $5,000 will be donated to the relocation fund. The matching grant runs through the end of the year or until the maximum of $25,000 is reached. 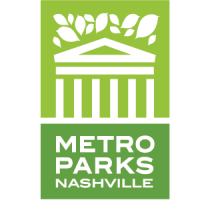 As part of the lease agreement with Metro Nashville, NSPS must raise $500,000 before the historic steam locomotive can be relocated. 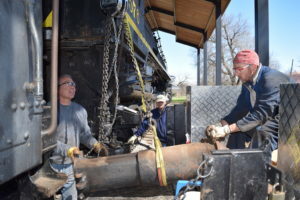 Once the goal has been met, the locomotive will be moved from its display site in Centennial Park and transported to the initial restoration facility approximately five miles away. 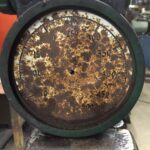 “Significant Donations have been coming in from all over the country,” said Shane Meador, President of the Nashville Steam Preservation Society. “No. 576 may be in Nashville but its appeal has no borders. We are thrilled for this matching grant opportunity to help start the major mechanical work and get No. 576 back on track.” Head to the link below and donate today to help bring the Rhythm of the Rails back to the Music City! Work continues outside of Centennial Park on No. 576’s various appliances, including the original gauges from the locomotive’s cab. 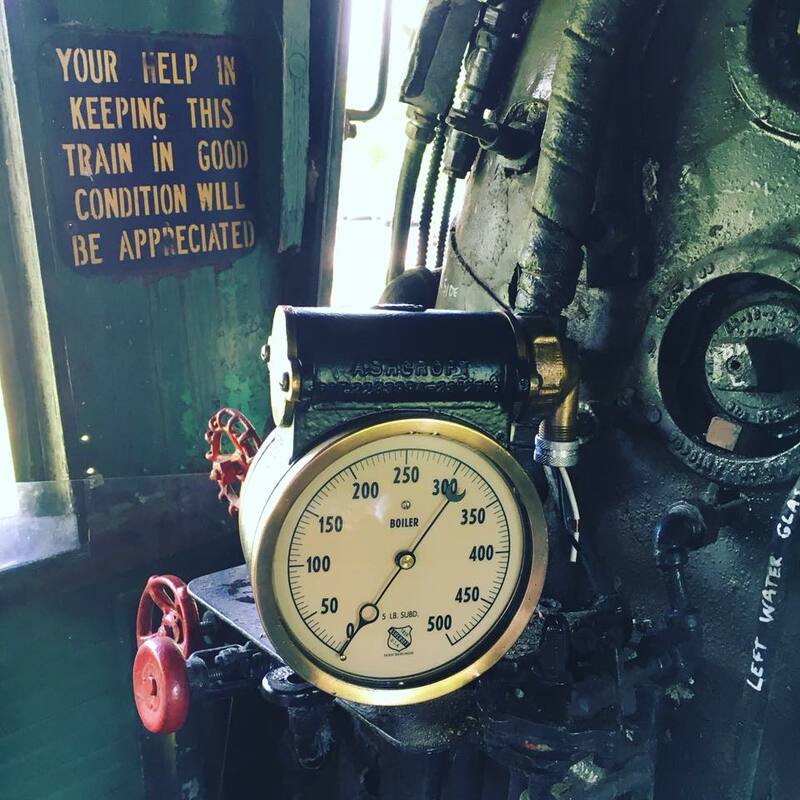 These are the visual tools the engine crew used to monitor and adjust the conditions of the locomotive. 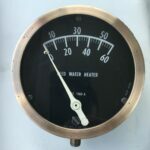 The gauges below have been completely restored and are ready for service. 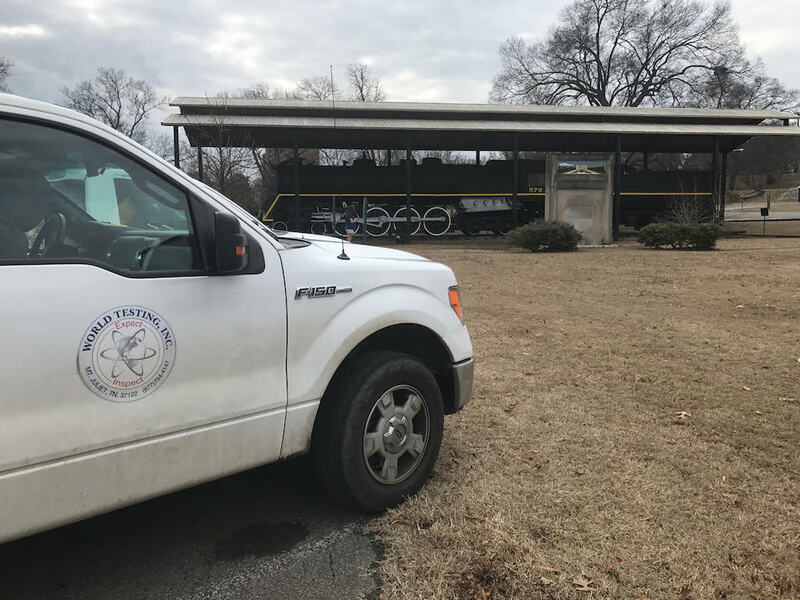 This past Friday, representatives from EON Products, Inc. and World Testing, Inc. were on site at Centennial Park to perform more inspections on the condition of the boiler. 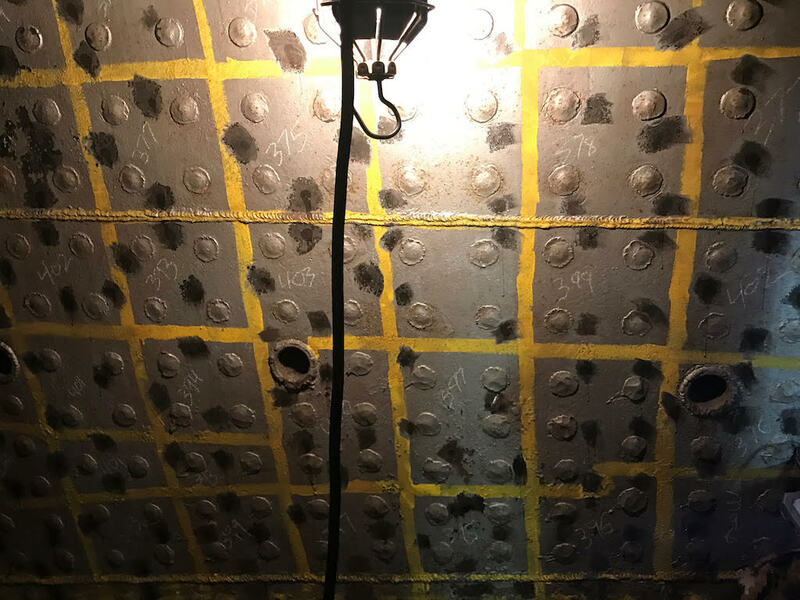 Specialists used handheld analyzers to measure the amount of carbon within the steel plates of the boiler. 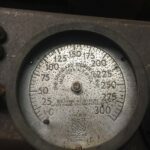 The CFR mandates that in order to weld repair any unstayed area of the boiler, the carbon count must be below .25, so these tests are extremely important as we plan ahead to the restoration phase. For this inspection, World Testing used the SciApps Z-analyzer that uses a LIBS technique. What exactly does that mean? LIBS means “laser induced breakdown spectroscopy” and it yields nearly instant readings on the metal that it’s testing. 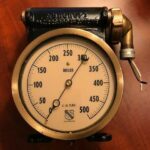 This is the only analyzer currently on the market that has the ability to measure carbon in alloys. 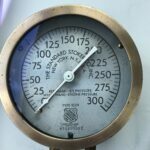 We are pleased to announce that all of the readings showed the carbon amount at less than . 25! The men who maintained the NC&StL’s steam fleet could never have imagined that this could be done with a tool that fits in the palm of a hand! 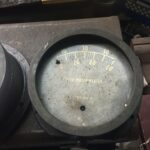 World Testing, Inc. previously performed ultrasonic tests on various portions of the boiler measuring the thickness of the sheet metal. They are a metals testing laboratory, locally-based in Mt. Juliet, TN, offering Radiographic Examination, Ultrasonic Inspection, Magnetic Particle Examination, Liquid Penetrant, Hardness Testing, Leak Testing, Visual Inspection, Alloy Analysis, Welding Certifications, Welding Procedures and Consultations. As a subcontractor for construction and engineering firms throughout the United States, World Testing performs destructive and nondestructive testing of structural steel, castings and piping for compliance with codes and customer specifications in fabrication and welding operations. Their services are performed at shop and field projects of all sizes and types of structural steel, pipelines, compressor stations, pressure pipe, pressure vessels (including steam trains!) and related facilities throughout the United States. We are very appreciative of their help and proud to call them a partner! 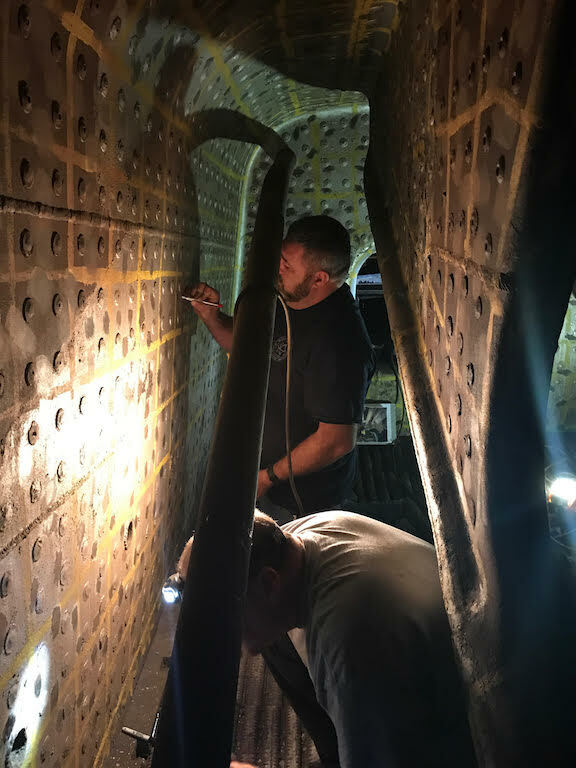 In March, Nashville Steam removed the steam dome cap and performed an initial inspection of the boiler’s interior. This is the first time the inside of the boiler had seen the light of day in more than 63 years! Nashville Steam President Shane Meador was very pleased with the boiler’s condition. 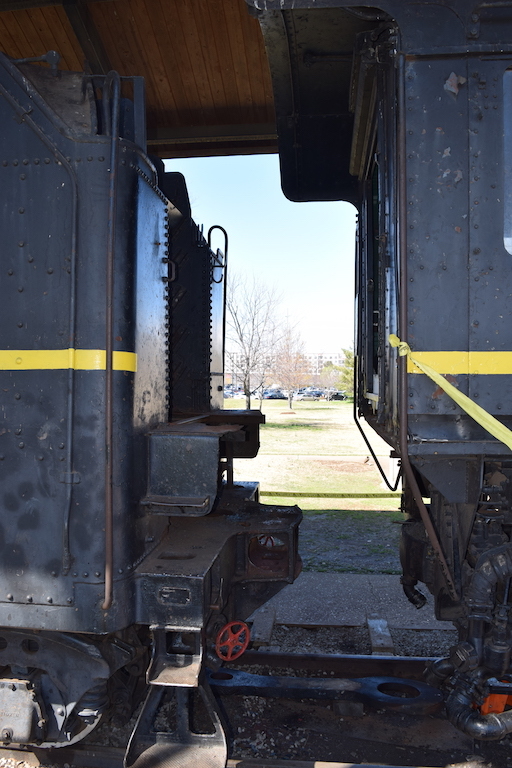 The scale that builds up on the wall had been removed prior to the locomotive being moved into Centennial Park. 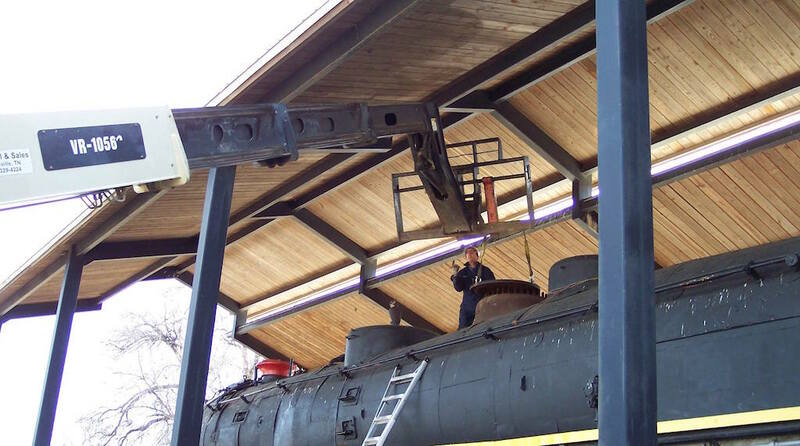 It’s evident that the Nashville Shop workers took great care to properly prepare the locomotive for long term display. Join Shane as he journeys into the depths of the boiler by watching the video below! After more than sixty years of standing idle together, the tender has successfully been separated from the engine. 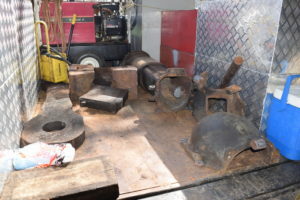 Weeks of prep work and a very productive work session last week brought the removal of the various mechanical components that connected the two mechanical bodies together. The first step was to remover the buffer spring to allow slack on the drawbar. The drawbar and safety bar are the two principal means of connecting the engine to the tender. The drawbar pins must be removed prior to removal of the drawbar. Once those were removed, NSPS volunteers jacked up the front of the stoker telescoping tube to clear the ball joint and elevator tube. The tube contains an auger that sends coal from the bunker in the tender through the cab floor and into the firebox. 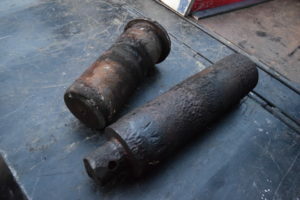 Front and rear drawbar pins removed for inspection and renewal. Loading up the stoker telescoping tube for rebuilding. After the telescoping tube was loose, the tender was carefully rolled back using a car mover. 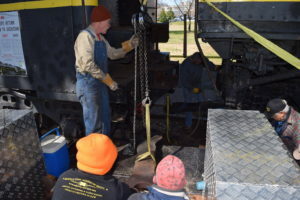 Once the tender was secure and the wheels choked, the stoker telescoping tube was chained and the corroded rear bolts were burned out from the clam shell-style connection. The heavily corroded auger was then cut and the entire telescoping tube was maneuvered onto a trailer. The adjustable chaffing block and buffer wedges were then removed followed by the drawbar and safety bar. After all of the parts were loaded onto the trailer, the crew rolled the tender back into place and the wheels were choked. It was amazing how well the tender rolled after sixty years of static display! Each piece that was removed will be put into storage and evaluated to determine whether it needs to be repaired or replaced. A huge step on the path to relocation! Drawbars must be inspected for cracks and defects. Once operable, the drawbars must be removed as part of the FRA required annual inspection. Loaded up and ready for some TLC! 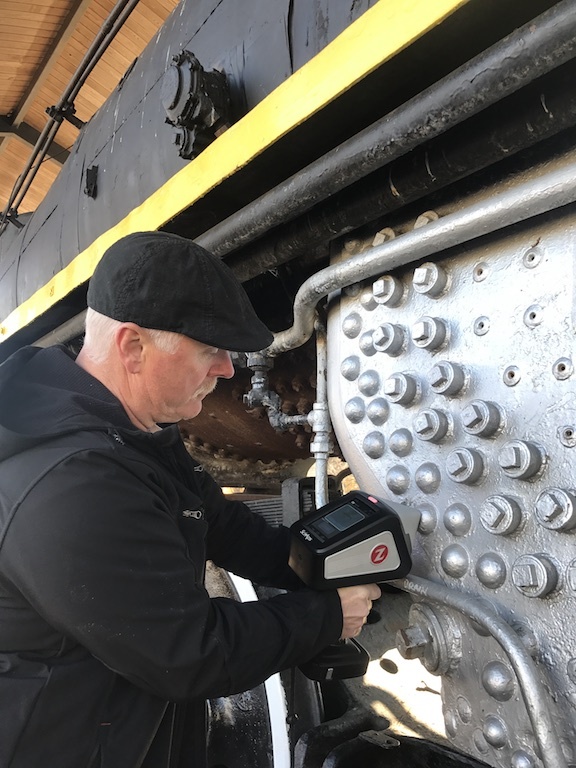 This past January, World Testing Inc. was on site at Centennial Park to perform an ultrasonic (UT) scan of the firebox sheets to determine metal thickness. 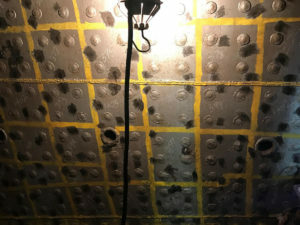 Nashville Steam volunteers had previously painted a grid on the sheets to aid in the process and help identify potential problem areas that would need to be addressed during the restoration phase. World Testing worked inside the firebox for two days to do a complete scan. Early results were good but World Testing needed to create a full report of their findings. Well, the report is in and the results are great! Nearly all of the numbers were close to or exceeded new sheet thickness! There are a couple of areas that will need some attention and we must wait to do the full calculations by the FRA Form-4 to determine an absolute minimum. However, the report indicates that there should be minimal work needed in the firebox once the restoration begins. A huge thank you to our sponsor, World Testing Inc., for all of their hard work!! The grid will help determine problem areas that will need to repaired during restoration. World Testing, Inc. performing the UT scan of the firebox sheets. Great job guys!